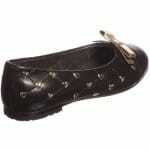 Good-looking little girls black pumps from Simonetta. Made in Italy. The fabric is soft pure leather. They have a quilted pattern on the outside and a sweet gold hearts and a gold bow with cracked leather effect on the front. 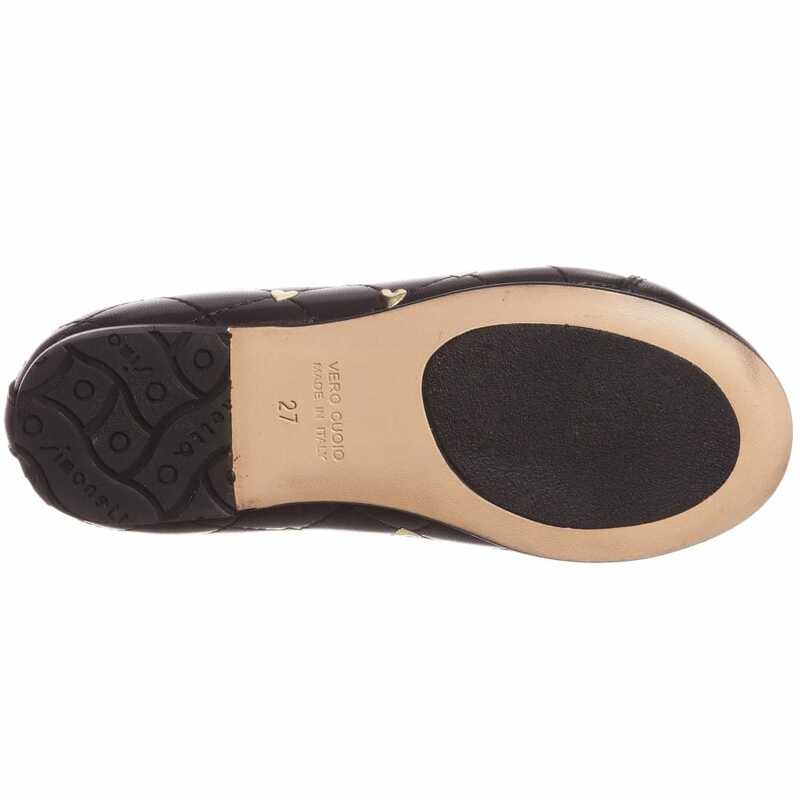 The pumps are fully lined and have leather sole with rubber to prevent slipping. These shoes are excellent to wear for girls who like to look smart every day. This item can be in different sizes for girls from 27 to 35.